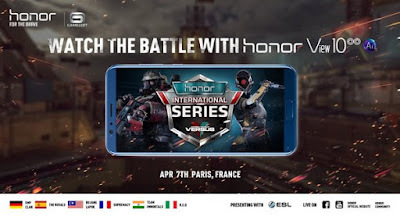 Honor, a leading smartphone e-brand, collaborated with Gameloft on April 7th to organize the "Modern Combat Versus Honor International Series" grand final competition in Paris with its AI powered Honor View 10 as the official smartphone of the tournament. The grand finale received overwhelming support from game-lovers and Honor fans from different countries around the world. 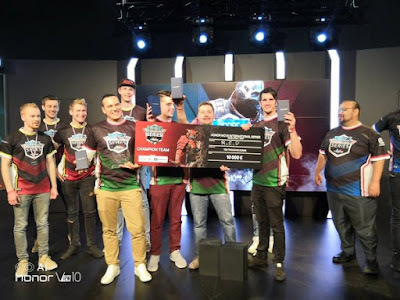 The finals were also live-streamed on various platforms owned by Honor, Gameloft and ESL, such as Facebook, YouTube, Twitch and Honor's official website, as well as partner platforms such as XDA Developers, Tinh Te, ShiftDelete.Net and Kaskus, attracting millions of viewers all across the globe. 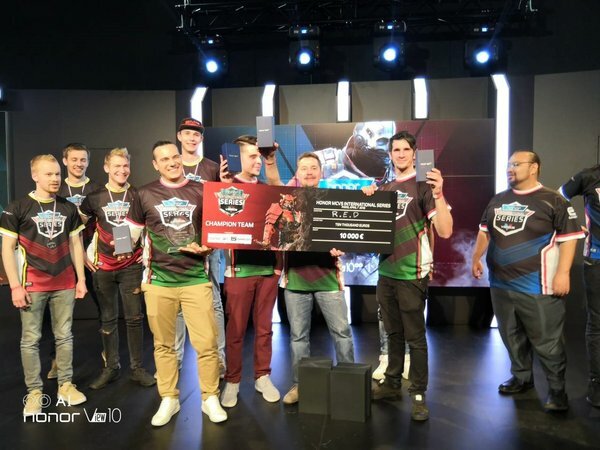 During the competition, the best players from France, Germany, Italy, Spain, India and Malaysia faced off in the popular mobile game, Modern Combat Versus. After rounds of exciting matches, team R.E.D from Italy finally won the grand finale and took home EUR10,000, as well as the Honor View 10. In partnership with Gameloft, leader in the development and publishing of mobile games, and ESL, the world's largest esports company, Honor aims to take mobile gaming to the next level by providing players with an extraordinary gaming experience through its latest flagship smartphone, the Honor View 10. "We are thrilled to partner with Gameloft once again to co-create a young lifestyle for users and fans all across the world," said Mr. George Zhao, President of Honor. "Gaming and entertainment are at the heart of today's digital lifestyle. In order to enable this lifestyle, Honor has optimized artificial intelligence, viewing experience, processing power and even the long battery life of Honor View 10 to ensure the best gaming and entertainment experience for users." Honor has always appreciated its fans support. After the last round of the final competition, Honor surprised its fans by offering them a chance to face off with the winning team. An exclusive Honor food truck parked outside the venue, where players, audience and fans were able to order food using Honor View 10's AI-translation function. Moreover, Honor will also be holding one of its biggest sales events of the year, Honor World Carnival, on April 8th to thank fans for their support.